Quinta das Carvalhas is certainly the largest Quinta in the Douro region, and is the "crown jewel" of Real Companhia Velha. Quinta das Carvalhas is located in the municipality of São João da Pesqueira and has a dominant position on the slope of the left bank of the Douro River facing Pinhão. It covers the entire hill, extending to the top - where the " Round House ", a guest house visible from miles away, is set - and also occupies a part of the upper slopes of the right bank of the Torto River. A property of immense beauty and grandiosity whose oldest written reference date back to 1759, although its expansion to the current 600 acres had happened more recently through the acquisition and subsequent land consolidation of several adjoining properties . 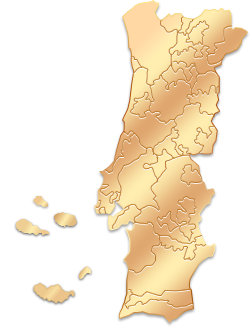 It is, since 1950, owned by Real Companhia Velha - producer of Porto and Douro wines, founded in 1756 by a Royal Charter of King José I, King of Portugal - being the oldest Portuguese company. This is one of the most emblematic Douro properties and it is considered by many the "Douro image" because it allows a view of the territory and of the most beautiful Douro has to show. Nowhere else that you can see so much in so little time. The mountain of Carvalhas, at 550 meters of altitude and from where you can enjoy a landscape in 360 degrees, is the site of "excellence" for the observation of the property (and Douro). Visiting the Quinta das Carvalhas is seeing the Douro from the inside - with the vineyards works (such as pruning, digging or harvesting) and the picking of olives or the reconstruction of the traditional schist walls - and the best angles of its landscape. You can see vines with over 80 years old and slopes with 70 degrees inclination; you can admire the Douro River and its tributary Torto River; you can also enjoy the symbiosis between flora and fauna. In the Quinta das Carvalhas, besides vineyards, there are areas of forest, olive groves and gardens built with ancient granite stones and shale marshes, where numerous species of flowers plants and herbs were planted. With a great location, right at the entrance of Quinta das Carvalhas, here our visitors have the chance to taste our wines, and they can also purchase them. They also have available a wide range of Douro DOC wines, Port wines, Olive oil and Douro Muscatel. This emblematic building was erected on the top of the 550 meters (1.804 ft.) high Carvalhas mountain and has a 360º view. It is the site of excellence for observing the Douro! "Pontualidade, simpatia e disponibilidade de todo o "staff" que nos recebeu na Quinta das Carvalhas." "We were a group of 19 people and I had to organise the tour. So I decided to ask the customer service Mariana to help me to book a minibus for the group. Mariana did a great job! She was so kind. The vineyard Quinta das Carvalhas is amazing. The tour at vineyard was extremly interesting and very professional guided. We all enjoyed every minute of the tour and we will recommand it!" "Quinta Carvalhas Pinhao in the Douro Valley provided a great short tour of the vineyard. Great views across the valley and a very informative guide. Plenty of opportunity to ask questions and not rushed. Nice wine tasting at the end." "Wine Tourism in Portugal helped set us up with some amazing winery visits, making the logistics very easy, and the visits structured and interesting. Quinta do Carvalhas was a wonderful experience, with Alvaro the vineyard manager taking us up the gorgeous hillsides and proudly showing us the soil, the plants, and then the wines! We will certainly look to your services again next time we visit Portugal." "Gostamos muito da experiência e do serviço prestado. Passaremos sem dúvida a recorrer mais vezes à vossa gama de ofertas."